Flashing light, neon brights, can you feel my love for Neon! Shining its way into Women’s fashion, the Neon Trend has made a huge comeback from being a rockin’ fad in the 80’s to a modern trend in the 2000’s! A rave of colors from pink, turquoise, orange, yellow, and the most popular green! Here are some great ways to incorporate the Neon Trend into your wardrobe based on daring-ness to bear the green! 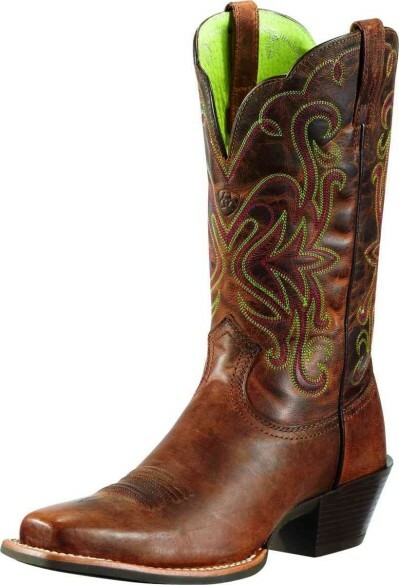 If you love the neon trend and can’t get enough of it, go big with the Smoky Mountain Showdown Western Boot Crazy Horse Brown and Neon Green! The day-tripping color block style is nicely balanced with a neon green upper and brown leather lower. Looks great paired with shorts or a white dress to add some crazy eye-popping color! 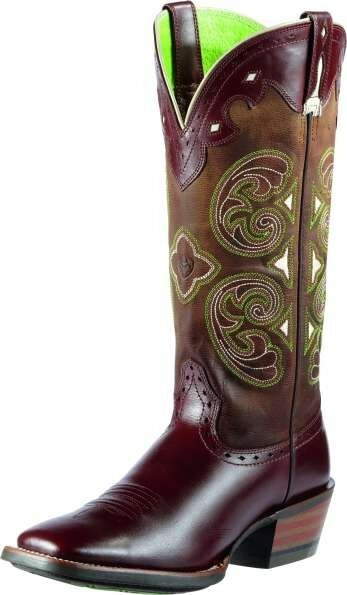 If you are more on the cautious side of this raging color trend, try the Ariat Legend Boot in Sassy Brown, the Ariat Madrina Mesa Boot in Weathered Brown, or the Ariat Heritage J Toe Sassy Brown! 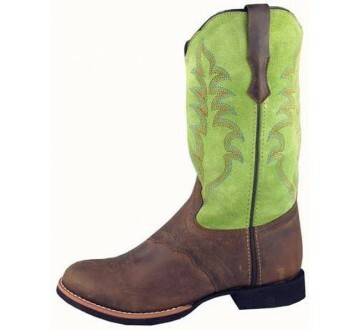 All of these have a classic brown leather design with subtle neon green embroidery on the uppers. 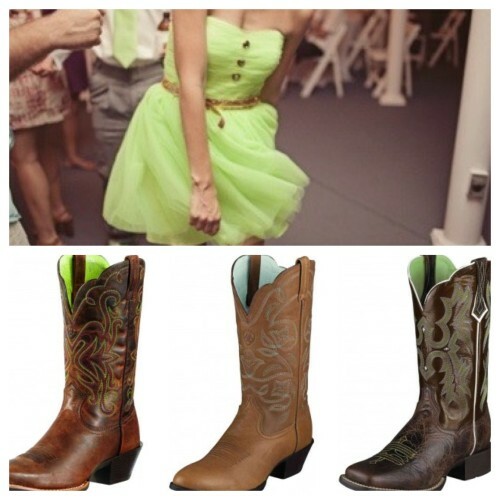 The pop of neon green is on the inside of the upper to help you get used to the brightness that is neon! Once you start feeling the color, then you can up the degree of the neon! 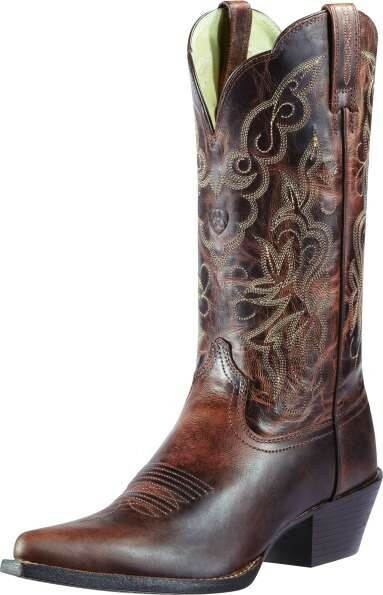 Shop all Women’s Western Boots at BareBones Workwear.com and join the fun on our Instagram!